Just to wet your whistle! we loved to always get something for our home to remember the trip by. That way each time we would look at that item, it would remind us of some exotic location. up and framed and perfectly displayed in our humble abode. GO AHEAD, JUST GIVE HER A LITTLE CLICK...IT"S EVEN MORE FAB CLOSE UP! Here's the rough draft....I think it's turning out great so far. New Yorkers wondering what the heck I was up to! Mindy, I love this! It is sooo cool! And what a fantastic way to remember your trip. You're so creative. So cool! It reminds me of the collages we used make on my mission. 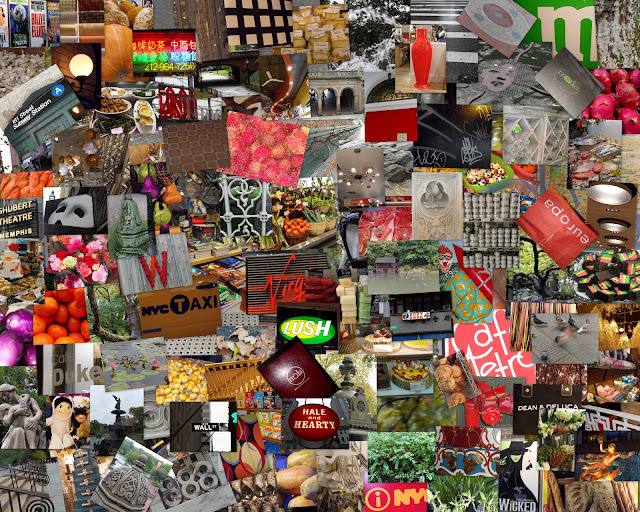 We'd spend hours snipping and cropping photos to make a collage of each area. Now we can do it digitally! Great idea! P.S. Do you do your text in another program and cut and paste it to your post? I love it.